Hours: We are open Tues/Wed/Thurs/Sunday 11am - 9pm and Fri/Sat 11am - 10pm. There is a free comedy show every third Thursday at 8pm. The cost, that includes in and out privileges until we close that day is $20 for Adults / $10 for children 5-12 / $15 for Seniors, Military and Students over 12 years old. The quirky museum houses some ninety-odd pinball machines, some dating back to 1871, which, after paying admission, attendees can play to their hearts' content. The museum also has an art gallery that hosts rotating exhibits. 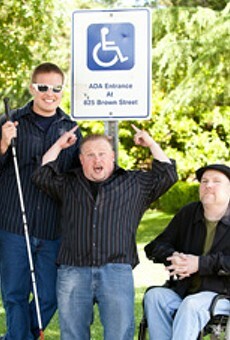 A comedy troupe made up of comedians with disabilities aims to educate and entertain at the same time.